Freshly sliced angus beef is regarded as some of the best beef in the world for its fine quality, amazing flavor, and exquisite marbling. At arby's®, we serve 100% black angus lightly seasoned with just the right touch of our special blend of cracked black pepper, herbs and spices. Our premium 94% lean top round is oven-roasted to perfection, freshly sliced daily, and served as our "ultimate" angus. 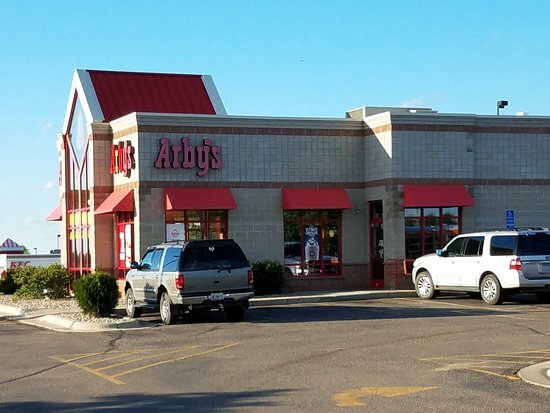 Visit arby's and try one of our freshly prepared angus sandwiches, you'll taste the difference. Close your eyes and take a bite, you’ll feel like you’ve been teleported to the city of brotherly love. We’ve taken our juicy, lean premium angus beef and topped it off with fire-roasted onions and peppers, melted swiss and tasty aioli spread, all served on a toasted philly roll. Angus beef the way it's meant to be - premium, lean, freshly sliced daily and piled high to perfection with thick cut pepper bacon and swiss, shredded cheddar and parmesan peppercorn ranch on an authentic italian style roll. Does any other turkey sandwich come close to beating the mouth-watering, juicy taste of arby’s® turkey roasters? Freshly sliced daily and served hot on a warm toasted bun, the answer is simple. And it’s “no”. Thinly​ sliced oven-roasted turkey piled high on a toasted sesame seed bun and served hot. Try it with your choice of honey mustard, mayo or ranch. Makes your mouth water, doesn’t it? Just imagine what it’s like to actually eat it. Thinly sliced oven-roasted turkey topped with cheddar cheese sauce and zesty red ranch sauce on a toasted onion roll and served hot. Take one bite and you’ll know why this new “classic” will be an instant legend. Served hot on a toasted harvest wheat bun with sliced roast turkey, melted swiss cheese, pepper bacon, leaf lettuce, tomato and mayo, the grand turkey club tastes like it’s more than a sandwich. We like to think of it as a savory, taste bud tingling masterpiece. It all began with arby's roast beef sandwich. Since 1964 we've been doing it the same way. Our roast beef is slow roasted in our stores for three hours every day, freshly sliced daily and piled high to roast beef perfection. Arby’s® is slicing up the truth about freshness™ and this is the sandwich that started it all. Since 1964 we’ve been freshly slicing our meats daily and building sandwich masterpieces for customers coast to coast. Our classic sandwich has arby's thinly sliced, oven-roasted beef piled high and barely contained on a toasted sesame seed bun. Try it with our delicious arby's sauce®, or for an extra kick go with the zesty horsey sauce®. This flavor combination is super delicious with the perfect balance of our oven-roasted beef with green leaf lettuce and ripe tomatoes, all topped with a zesty Red Ranch Sauce on a toasty sesame seed bun. For this Sandwichsmith's work of art, we top our classic thin-sliced roast beef with tangy cheddar cheese sauce turning a classic, into a modern marvel. We just put the burger on notice with this one. Arby's® signature thinly sliced, oven-roasted beef, piled high and topped with pepper bacon, a slice of cheddar cheese, fresh lettuce, ripe tomato, and onions on a split top roll. Your move hamburger. Arby’s® tender and juicy, freshly sliced roast beef with Swiss cheese, crispy onions, sliced mushrooms and a deliciously savory spread all on a toasted specialty roll. If that doesn’t brighten your day, nothing will! Arby-Q®! See what we did there? Here's what else we do. 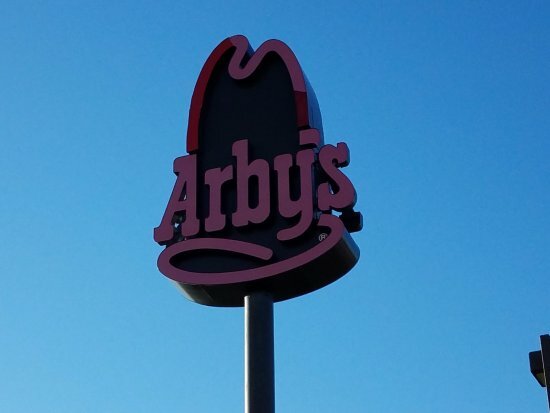 We take Arby's® signature, freshly sliced, slow-roasted beef and serve it up with tangy barbecue sauce on a perfectly toasted sesame seed bun. Now THAT's some good eatin'. What could make our signature sandwich even more delicious? Why, warm cheddar cheese sauce and zesty red ranch on a toasted onion roll. Didn’t think it was possible to amp up our beef'n cheddar sandwich? Neither did we until we put some pepper bacon on it and the bacon beef ‘n cheddar was born. Prepared fresh when you order, this sandwich is made with arby's® famous thinly sliced roast beef slow roasted to perfection. Then we add melted swiss cheese and put it all on a warm, authentic italian style sub. Dip it in our hot, savory au jus and take the flavor to a whole new level. When thick-cut honey wheat bread meets our freshly sliced daily oven-roasted meats and fresh produce, the result is a flavor explosion. You might want to grab a second one so you don't have to share. Some turkey makes people sleepy. This one will wake your senses right up. It's oven-roasted turkey that's freshly sliced in-store, thick cut pepper bacon, ripe tomatoes, green leaf lettuce, thinly sliced red onions and cheddar cheese topped with peppercorn ranch sauce on our signature honey wheat bread made with whole grains. Some turkey makes people sleepy. This one will make your senses perk right up. It's oven-roasted turkey that's freshly sliced in-store, thick cut pepper bacon, ripe tomatoes, green leaf lettuce, thinly sliced red onions and cheddar cheese topped with peppercorn ranch sauce in our whole grain flatbread wrap. Oven-roasted​ turkey freshly sliced in-store with ripe tomatoes, swiss cheese, green leaf lettuce, thinly sliced red onions, mayo and spicy brown honey mustard all on our signature honey wheat bread made with whole grains. Oven-roasted turkey freshly sliced in-store with ripe tomatoes, swiss cheese, green leaf lettuce, thinly sliced red onions, mayo and spicy brown honey mustard all on our whole grain flatbread wrap. All white meat, chicken breast fillets are the epitome of juicy deliciousness. This is the kind of thing that'll keep you coming back. Crispy, all white-meat prime-cut™ chicken breast fillet topped with crisp lettuce, juicy tomato and a jolt of zingy, zazzy, zaucy, zesty cravin’ sauce. It’s one sandwich that’s anything but boring! Crispy, all white-meat prime-cut™ chicken breast fillet topped with thick cut pepper bacon, swiss cheese and honey mustard, all served on a toasted sesame seed bun. You​ can't be blue with our bleu. Crispy, all white-meat prime-cut™ chicken breast fillet topped with thinly sliced roast ham, swiss cheese and mayo, all served on a toasted sesame seed bun. These crisply breaded chicken tenders are the real thing - whole white meat from the prime cut of the chicken breast - and they come with a choice of dipping sauces, including our tangy buffalo dipping sauce, BBQ, ranch and sweet honey mustard. There’s truly no other value menu like it. The arby’s value menu features items like our one-of-a-kind arby’s curly fries, awesome jamocha shakes, jr roast beef sandwiches and decadent turnovers. All rich in flavor, but not in price. Happiness does come in value sizes. Thinly sliced, oven roasted beef, served on a toasted sesame seed bun at the right price will put a smile on your wallet as well as your face. Why did the human cross the road? For this sandwich of course. Value-sized cripsy tender breast of white meat chicken, topped with leaf lettuce and mayonnaise on a toasted sesame seed bun. Oven-roasted​ ham piled on a toasted sesame seed bun and topped with creamy cheddar cheese sauce. We just took ham and cheese up a notch. Oven-roasted ham piled on a toasted sesame seed bun and topped with creamy cheddar cheese sauce. We just took ham and cheese up a notch. This kraft® classic is cheesier than a knock-knock joke. It's also a deliciously good source of calcium and vitamin d! The corkscrewing slide on a playground is way more fun than the straight slide. Arby's® used this revolutionary insight when they created the curly fry. And millions of loyal fans agree. Homestyle fries. A distant cousin of curly fries that's just as awesome. Freshly baked, flaky turnover pastry with a sweet cherry filling. Freshly baked, flaky turnover pastry with a sweet apple filling. Market fresh chopped salads take the fresh lettuce, diced tomatoes, and red onion and pair them with your choice of our freshly sliced roast turkey or crispy chicken. Add shredded cheese and a selection of dressings and you've got yourself a winner. People don't take most salads seriously. But arby's® chopped farmhouse salad is the exception to the rule. Chopped fresh lettuce topped with roasted turkey and tossed with shredded cheddar cheese, red onion, diced tomatoes and diced pepper bacon. Served with the following dressing options: honey mustard, ranch, light italian or balsamic vinaigrette. Don't sleep on this salad. People don't take most salads seriously. But arby's® chopped farmhouse salad is the exception to the rule. Chopped fresh lettuce topped with crispy chicken and tossed with shredded cheddar cheese, red onion, diced tomatoes and diced pepper bacon. Served with the following dressing options: honey mustard, ranch, light italian or balsamic vinaigrette. Don't sleep on this salad. Chopped fresh lettuce blend with shredded cheddar cheese, diced red onions and diced tomatoes with dressing on the side. Whether it's adding a little crunch or a little savory bite, sides make a meal feel like a proper meal. Mozzarella​ cheese battered and fried to a melted cheesy perfection. Served with a marinara sauce for dipping. Yummy pieces of fluffy potato deep fried and loaded with cheddar cheese and bits of bacon. Served with ranch dipping sauce for dipping. Your taste buds will be doing the mambo. Spicy jalapeno halves filled with melted cream cheese, battered and fried for a fiery treat. Served with our delicious bronco berry sauce®. These go great with nearly everything. Battered and fried to golden perfection, arby's® steakhouse onion rings are what onion rings are supposed to taste like. Potatoes.​ Cake. Win. Win. Shredded potato fried to a crispy golden brown. Perfect for any meal. Ice-cold refreshing beverages make the perfect complement to our freshly sliced sandwiches. The following tasty beverages are also available at participating locations: coffee, pepsi®, diet pepsi®, dr pepper®, mug® root beer, diet mtn dew®, tropicana® lemonade, tropicana twister® soda, wild cherry pepsi®, tropicana® pink lemonade, and tropicana® light lemonade. Enjoy an ice-cold, crisp and refreshing pepsi as the perfect complement to any arby's meal time. Order an ice-cold diet pepsi and enjoy the light and crisp refreshing flavor with zero calories. Kick it up a notch and go with the always adventurous, always delicious mtn dew®. Enjoy the refreshing flavors of lemon and lime with an ice-cold sierra mist today. Feeling parched? Quench your thirst with the unique taste of dr pepper. Crisp, refreshing and freshly brewed. Guaranteed to perk up your day.